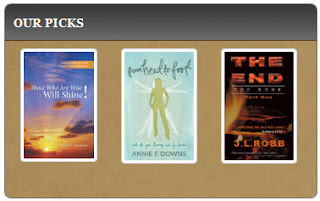 Home » Future , Redemptive Thread , Salvation , Shine » Publishers Pick: Those Who Are Wise Will Shine! 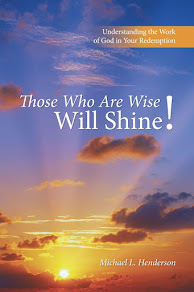 Publishers Pick: Those Who Are Wise Will Shine! lmost nightly, after the sun has set and the darkness of the expanse above has spread its covering, I go out to gaze in wonder at the spackling of lights that scatter across the heavenly sky. To this day, I still stand in awe of something so beautiful—yet so vast—so easy to gaze upon—yet so deep to understand. Often, when I look into the night sky I think of Daniel 12:3, and I wonder to myself just what the Lord sees when He looks at us—His church. Are we shining with a life that speaks of Christ? Are we telling the world about His love, redemption, and mercy? The Lord says to those who will be faithful to the task that they will shine like the stars forever and ever. ike the forward to a novel or its beginning chapters, a stage begins to be set by the author that will reveal the intrigues, captivations, and the plot. All of this leads to the final crescendo where the full outcome is realized. In this way, I have tried to set a stage that allows you to get a clearer picture into God’s early redemptive acts. We have seen how gracious God was to our first parents after they sinned, and how the offering of Abel was most satisfying to the Lord. Nonetheless, we have not really dealt much with the “how” and “why” of God’s future separation and sanctification of a people, one that would be the catalyst of the priestly line of redemption that would culminate in the birth, life, death, and resurrection of the Messiah. It starts with understanding the lineage that follows Adam. The contrast is stark and the parallelism is evident, God creating man in His image and likeness and man pro-creating man in his image and likeness. The simplest way of looking at this is to accept its meaning at face value. To try to see anything deeper into it can get very speculative and theoretical, causing it to lose its intended meaning. God created Adam as a living soul. He breathed the breath of life into his nostrils and he rose up as an eternal being capable of having a personal relationship with God. As we have noted previously, the Lord walked with Adam in the cool of the evening (Gen. 3:8). This personal interaction is one of the key reasons God created humanity, to have fellowship with him. We, like God are eternal, and just as He is without sin, so in the beginning, was Adam. In these simple respects, we are created in God’s image. 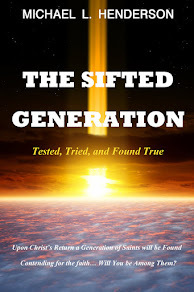 However, when Seth was born, He inherited the image of his father, Adam. He would have many of Adams characteristics just as a child does today. Yet there was one big difference between Adam and God and Adam and Seth—Seth was born as a fallen human being in need of redemption. This one characteristic is what would define his heritage. On the other hand, Adam had the likeness of His Father; innocence was his honor, that is, until sin corrupted him. In Adam, we see innocence giving way to sin, whereas through Seth we see sinfulness that eventually will give way to innocence. Of course if you continue with the book you will see that it is Jesus that is found at the end of the Redemptive Thread! It is in Him that innocence triumphs over sin—His innocence which becomes our robe, (2 Cor. 5:21 and Is. 61:10). 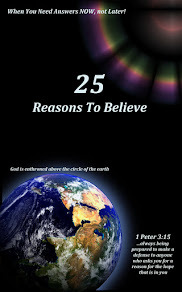 There are 16 chapters each revealing a little more about God’s work in the lives of our ancient forefathers. The work He performed in their lives is the same work He performs in ours. His main mission was to present Himself to the world as the Redeemer, full of love and grace, and to never suffer that image to be tainted by the sin and syncretistic ways of the world. He chose men and women just like us to do it. Satan also appears in the book, always trying to thwart the work of God just as his minions do today in our lives. But God was always one step ahead. The book closes with an appendix called Structuring the Nations (the Table of Nations) that I spent many painstaking hours researching in some of the best libraries available, from local, seminary, and university libraries, and also from my own collection. It is taken from Genesis and covers the seventy heads of the nations and their past and present whereabouts. This tool is very useful for the study of history, Bible Prophecy, and the Old Testament prophets. I hope you will find it as a useful reference. I have received emails from readers who have found it most helpful in their studies of the prophets. I hope you will too! But when it is all said and done it is not about my book or any book, it is about Jesus. He is the One who is to receive all glory both now and forever. It is by Him alone that gives our daily strength is gained. We live in a corrupted and fallen world that defies the very presence of God, yet through it all He still shines as the only hope humanity has for the future. All praise belongs to Him and no other! Thanks again for your prayers and God Bless!